Small towns and villages fascinate us. There is something magical about wandering through streets and alleys, getting a sense of small town living, and being an inquisitive tourist uncovering great food, people and sights ready to be discovered. Colombia is a great country to explore towns (pueblos), as there are so many preserved, colonial gems. 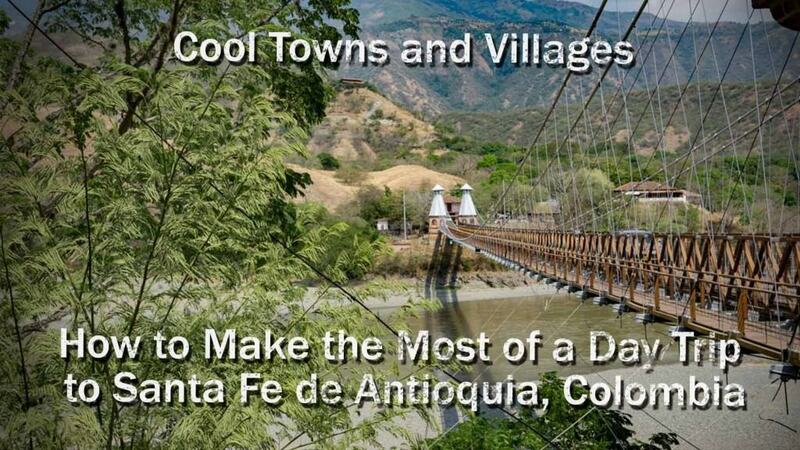 One particular town that we recently visited was Santa Fe de Antioquia. 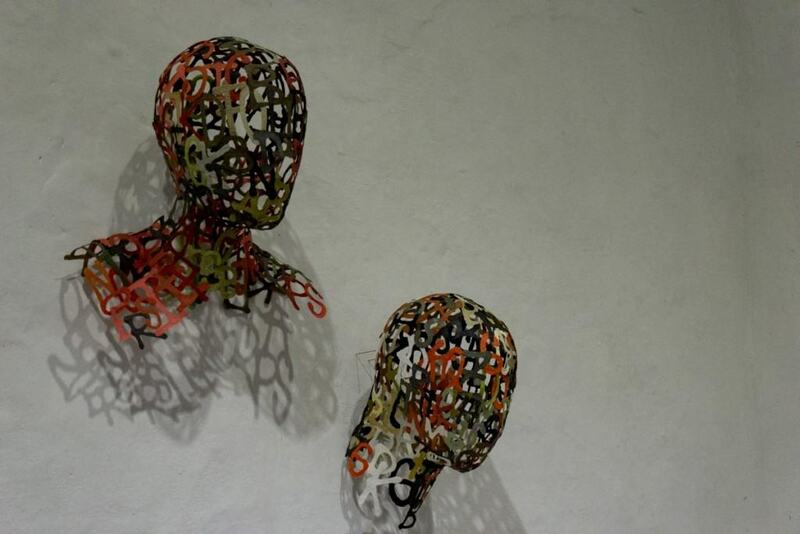 "The hot, sleeping colonial beauty that is perfect if you have a Colombian Finca to visit." We took a day trip there from Medellín, just a short 1.5-hour bus trip. During the weekends, it is frequented by higher income Colombians who head to their Fincas (weekend farms/homes) to get away from nearby Medellín. 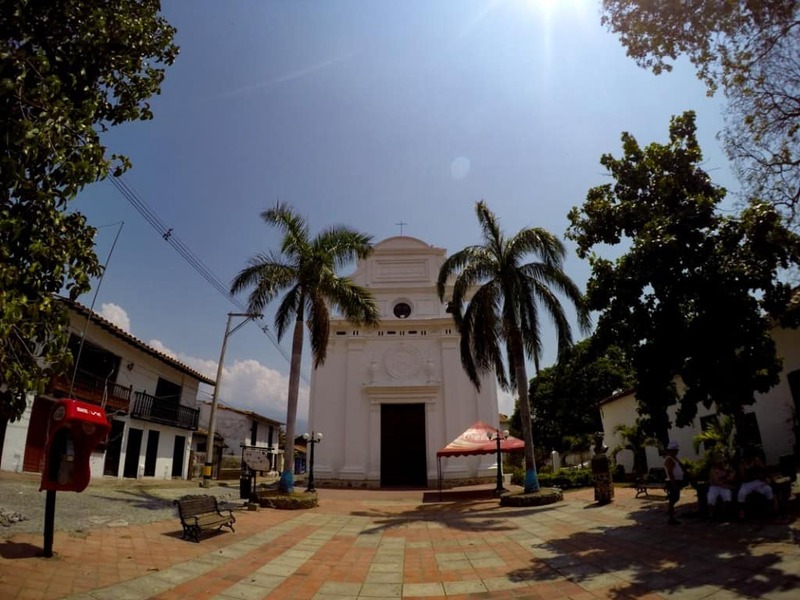 This town was founded in 1541 and was the original capital of Antioquia (the department, similar to a province or state) up until 1826 before Medellín became the capital city of the region. The immediate impression as soon as we got off the bus was the profound change in temperature (35+ Celsius and a scorching sun) and the very dry, arid brown landscape of mountains and dusty roadways – a stark contrast to Medellín, with its consistent spring temperatures and lush emerald green mountain landscapes. As we stepped off the bus at the busy station filled with buses, and motorbikes it didn’t look too impressive. Quickly, we saw the sign to the Plaza Mayor, the main central plaza just a short walk up a hill. Before long, the street transitioned into cobblestone pavement married with rows of single-level homes and shops decorated with whitewashed facades, elaborate wood-carved doors, and brilliant purple Bougainvillea flowers were hanging on the windows and fences. Stunning. Our day started with a walk through the many narrow streets, which didn’t take long in this small town. 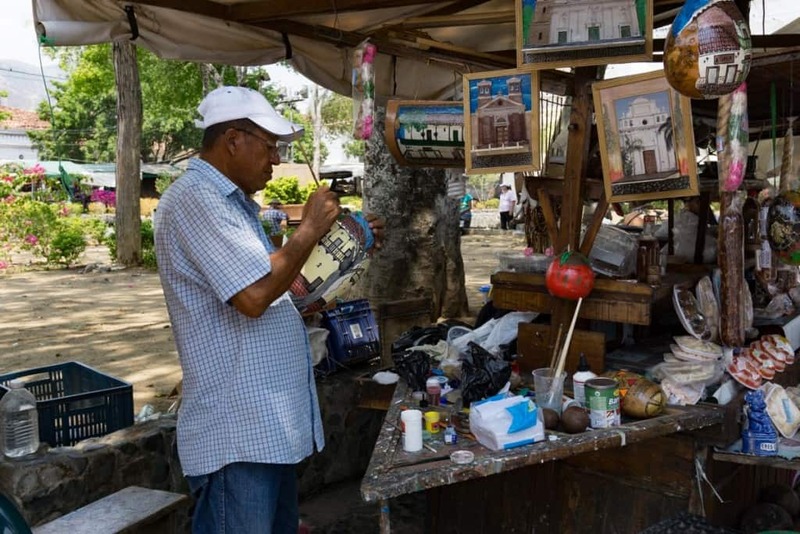 In the central square, small market stalls lined the streets on a Saturday, offering small gifts and predominantly, tamarind treats in all shapes and sizes – from small candies to huge blocks of this sweet and sour treat, all grown in the valley. The market was played up to us as a significant thing to see, yet it was tiny with a homogeneous mix of gifts and trinkets that we felt it’s not a compelling reason to come to this town. 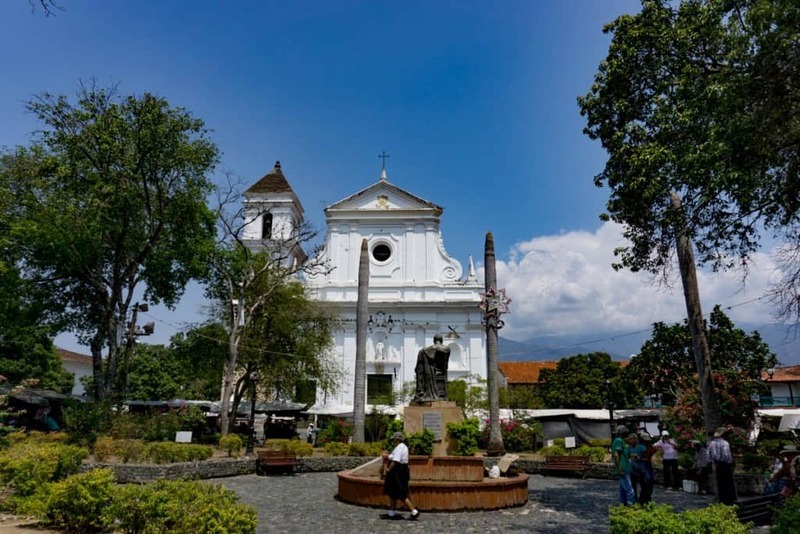 The Cathedral in the central square was charming, a nice setting towering over the main street, however, a more interesting religious attraction was the small 18th-century Iglesia de Santa Barbara and the little garden beside it. As we wandered through the streets, it was interesting to spot numerous tuk-tuks (moto-taxis), all surprisingly clean and painted white, which was the primary source of transport throughout the town. 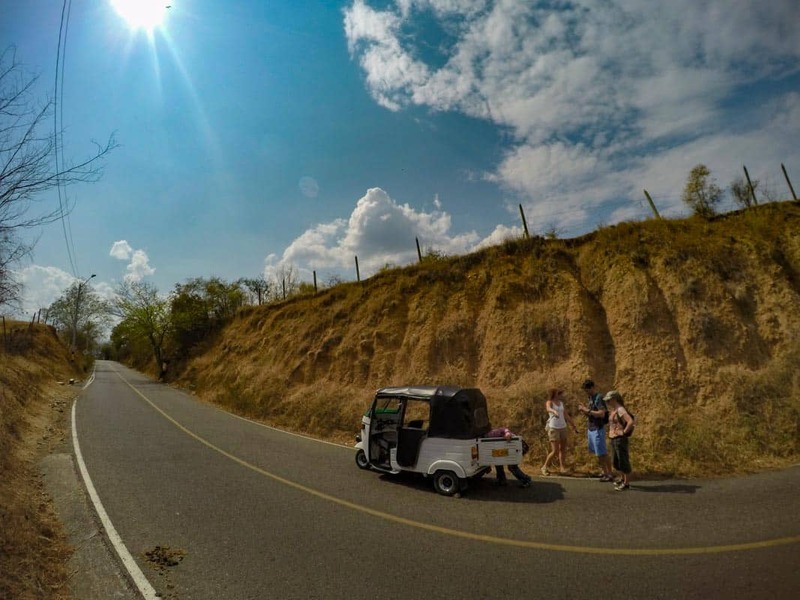 The tuk-tuk was the perfect vehicle to negotiate a 5 kilometer drive to see the famous suspension bridge, the Puente de Occidente. 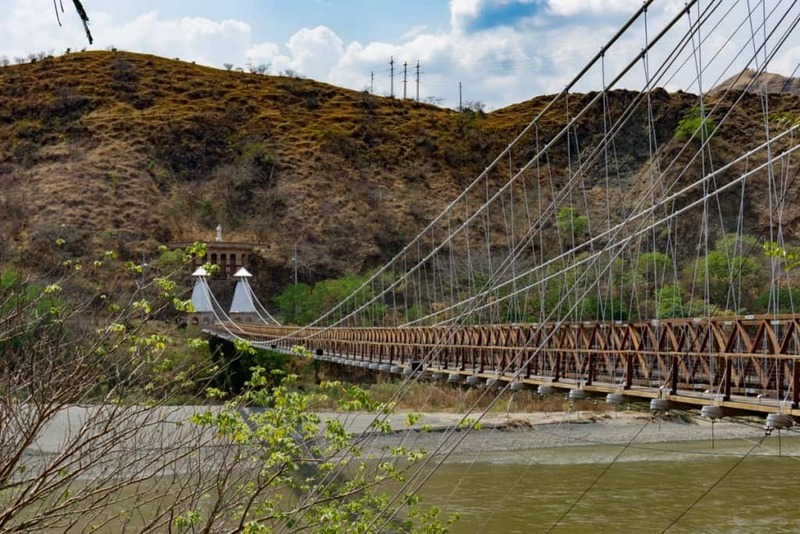 Our driver Daniel was happy to take us there, and show off the bridge to his guests just on the outskirts of the town, connecting Santa Fe de Antioquia to another town over the Rio Cauca. We decided not to walk back to town because it was just too darn hot that day. The bridge is rather odd as it sticks out from amongst any other architecture throughout the area. The bridge was completed in 1895 and known to be built by the same designer of the Brooklyn Bridge. It was an interesting short excursion, but not something to write about in our ‘best of’ books. What was more interesting was our tuk-tuk driver who had to get out and repair his taxi twice, the vehicle was a little distressed carrying 4 adults and a driver up the hills! We made a brief stop into the free museum of Juan del Corral. 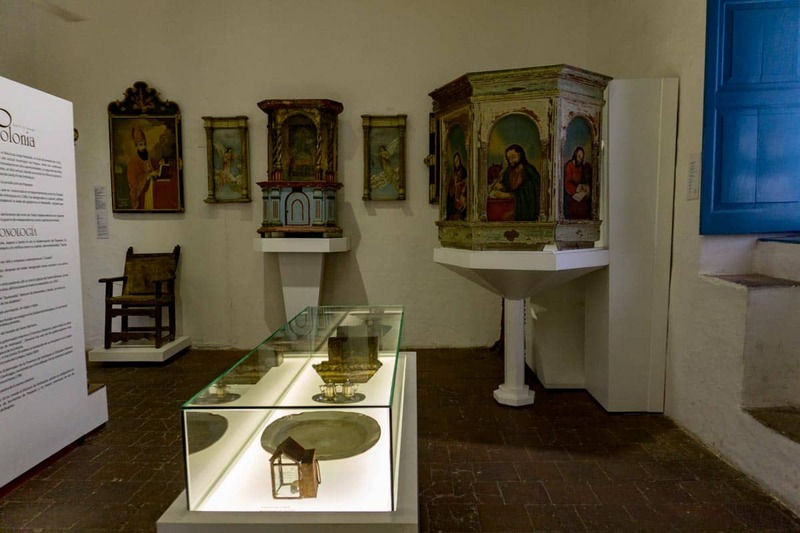 Housed in this beautiful mansion are artifacts including religious items from the Cathedral, contents from some of the original town homes, and a room featuring an exposition of Miriam Londoño’s artworks of fascinating sculptures made of paper. There was no shortage of small local spots for coffee, breakfast, lunch, ice cream, and smoothies. We found a convenience store in the central square, the perfect place to buy cold beers at the end of the day and relax under a shaded patio with tables lined along the square. 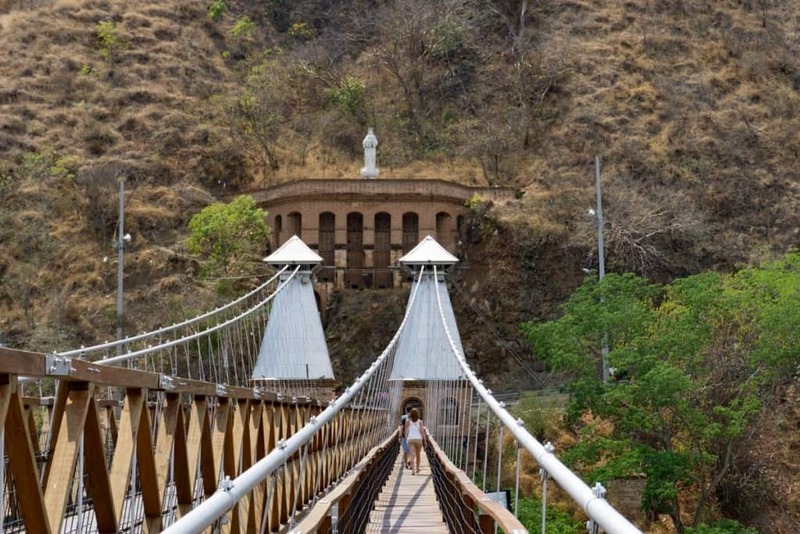 Santa Fe de Antioquia is a beautiful town, but we found it a little lacking on things to do, other than wander and relax. We think the best way to visit the area is befriending a local who owns a Finca in Santa Fe. It would be a great place to relax, swim and enjoy a home-cooked meal and learn about the area. 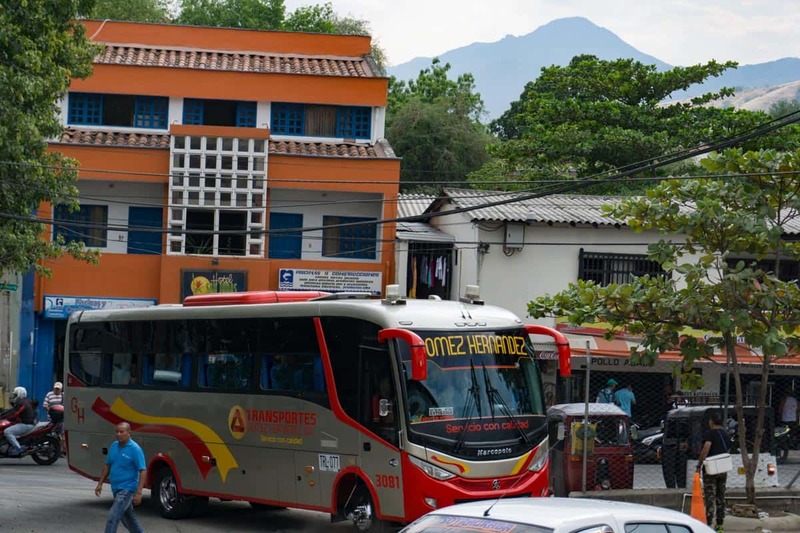 The bus trip from Medellín: Take the Metro to the Caribe station – this is the location of the Northern bus terminal. 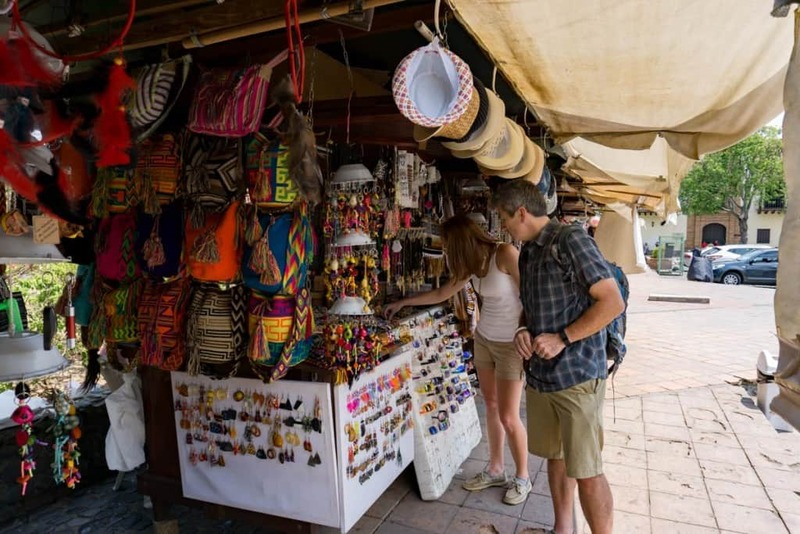 Head to the ticket counters, then look for signs for trips heading to Santa Fe de Antioquia, or search for bus companies like Sotraurabá or Gómez Hernández. Tickets at the time we booked our trip were $10,000-12,000 COP (approx. $3-3.50 USD) one way. On arrival: Inquire at the bus station counters about the exact schedule of buses and minibuses when they are heading back to Medellín. If it’s busy in town, plan ahead to book your return bus ticket back. For more about Colombia, please check out these other posts.